Alimony is the portion of support paid from one spouse for the needs of the other spouse. There are two components to this analysis. First the needs of the recipient spouse are determined considering the lifestyle of the parties prior to the divorce. The second component is the ability of the paying spouse to provide for those needs with Alimony. If you find yourself on either side of this equation you will find that an accurate financial accounting will assist you in making reasonable decisions about your future. 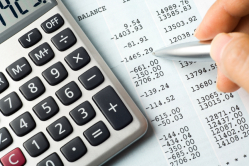 To calculate these payments correctly and fairly it is vital to enlist the expertise of a qualified forensic accountant like Britt & Company, P.A. who specializes in divorce accounting. At Britt & Company, P.A. we can assist in evaluating a couple’s spending habits to help develop a lifestyle picture used by the court to determine the amount to be paid in alimony. These factors need to be investigated thoroughly by an experienced forensic accountant in order to present reasonable and accurate calculations to the court. Additionally, we perform “what if” calculations to examine the benefits and drawbacks when negotiating for alimony. As CPAs with a strong background in tax planning we recognize that tax ramifications of alimony are also important to consider as alimony may be deductible by the payer and could be included in the recipient’s taxable income. Our forensic accounting work is focused in divorce engagements and we realize that each case is unique. Contact us today at 954-718-5022 to schedule an initial appointment to discuss how we can help your case. Learn more about Florida alimony reform.